Threads Spotlight: Venue Director Morgan Maggini | Grand Central Magazine | Your Campus. Your Story. Threads Fashion show at Central Michigan University takes a team of talented students to take the show from start to finish. Threads Fashion 2019’s theme is Threads ID celebrating all different body types, skin colors and personalities. Threads aims at spreading love and celebrating exactly who you are. 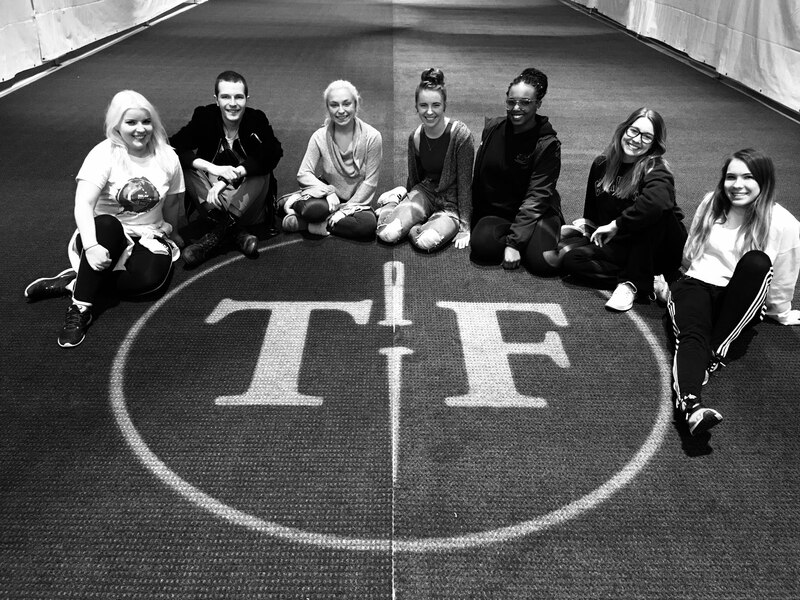 A big part of the team is the venue committee- in charge setting the stage of Threads Fashion show and making the vision for the show come to life. In charge of this year’s venue committee is venue Director, senior Morgan Maggini. Maggini, a Grand Rapids senior, is a fashion merchandising student with a double minor in marketing and event management. 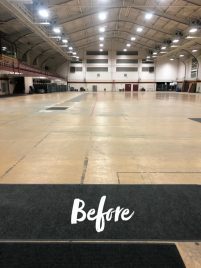 On a daily basis, Maggini is in contact with University Events and other vendors about venue equipment and set up in order to get the final look of the show. She is also overseeing her three committee members making sure everything that is needed to get done is being done. “It is about creating a venue that expresses the theme and not just a venue. 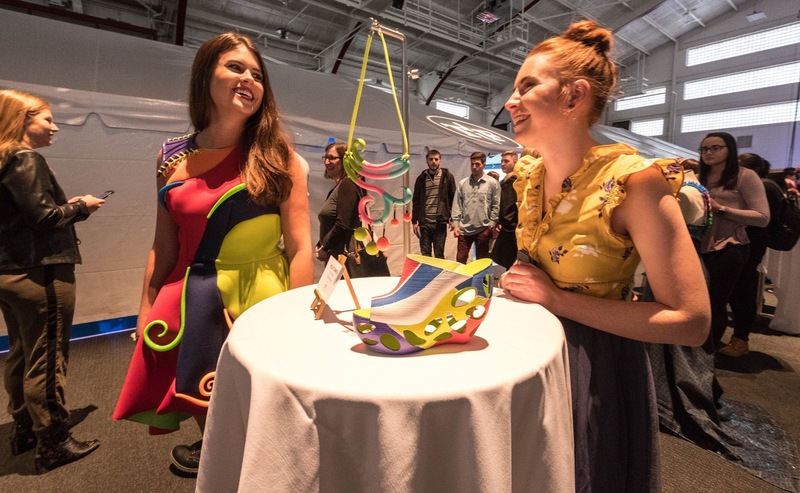 One can look at the venue and see those little details that represent the theme of being body inclusive and diverse and showing your own personality,” said Maggini. Handling the position of venue Director isn’t always easy and comes with its challenges. Venue committee contains four students total with a large task of bringing the venue to life. “Having the small committee is nice because there is less people to keep track of, but it can be difficult because there is a lot of stress in creating the final look of the show and just not enough people,” Maggini said. Maggini is most looking forward to seeing the final product of the show and see what she has worked so hard for be real. 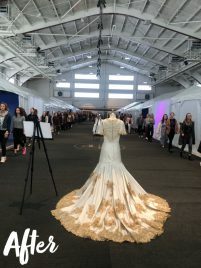 “Yes I can picture the seating going there or the decorations looking a certain way, but I truly don’t know until it is in the space on show day with everyone in their seats and the lights are set to create the overall mood,” Maggini said. Maggini’s favorite part about being the venue director is being able to make decisions for the venue. As well as having having one on one connections with the producers of the show. “I can make those decisions or help grow the decision of my committee members. I get to think outside of the box and get creative with the venue,” Maggini said. Separator image Posted in Style & Beauty and tagged with Jenna Boulter, Morgan Maggini, Student Fashion, threads fashion show.